Journaling is a great way to capture the details that make up your everyday life. Whether you're telling in-depth stories or simply captioning a photo, your words are important to preserving your memories for years to come. The following journaling prompts are perfect for pairing with this month's Holland Park Kit, or just tuck them into your back pocket for a time when your creative mojo is low. Either way, we hope they’ll help inspire your next project! Kelly journaled about all the books her son is currently ready on her spread, Reading List. They'll love looking back on these titles for years to come! 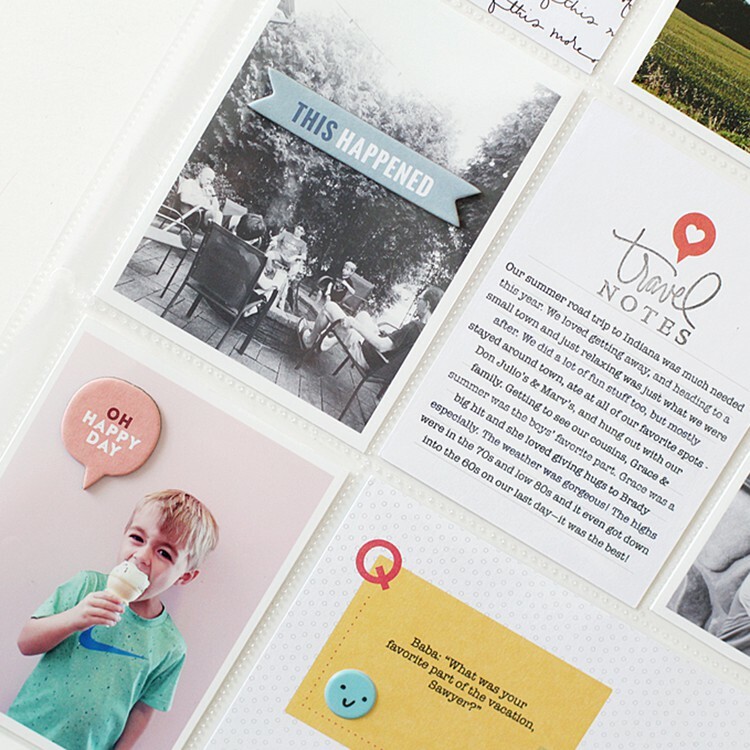 On her spread, All the Good Things, Barbara used the Holland Park stamp subscription set to help her list out all the good things about her photo featuring her current book. 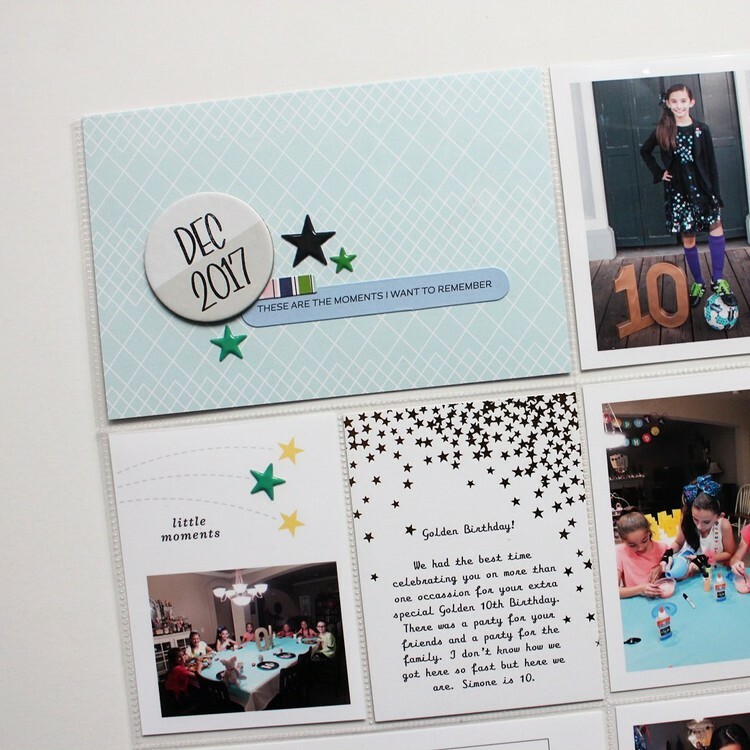 Kelly created her Top Ten spread all about her youngest son and listed out ten fun things about him right now. This prompt is a great way to get lots of details down on the page! Lisa used the Top Ten stamp set to record her favorite things about autumn in her project, Fall Faves. This prompt would be great to repeat for every season! On her project, Fall Top Ten, Haley also listed her top favorite things about the season using labels! We love how she combined the Top Ten stamp set with the Tucker Alpha stamp set to complete this spread. On her spread, Eat and Shop, Sarah added her journaling to a fun insert and told the story of her pre-holiday traditions! These fun details are the perfect addition to her December album. Kelly created her pocket page spread, Buddy, about her family's Christmas tradition of Elf on the Shelf. This sweet story is one her kids will love to look back on! France wrote about a sunny fall afternoon and spending time with her sweetheart on her stunning geometric page, One of a Kind. There are so many possible interpretations of the sweet Daily Gratitude prompt! On her project, Top Ten, Marcy included a simple line of journaling about her photo and how grateful she is for every day. Her sweet, monochromatic spread reflects the story she's telling and perfectly complements her photo. Marie wrote about where she finds her creative inspiration in her spread, Pure Magic. This prompt is a great reminder to yourself to always look for inspiration that you can use for your projects! There's so much you can say with the Holland Park Kits and November add-ons. Which journaling prompt do you plan on trying out this month? Post your creations in the gallery and add a link in the comments. We can't wait to see what you'll make!